Reduce Footprints: Guest Post - Helpful Tips for a Great, Green Move! Guest Post - Helpful Tips for a Great, Green Move! Winter is waning, and the peak season for movers—May until September—is quickly approaching. 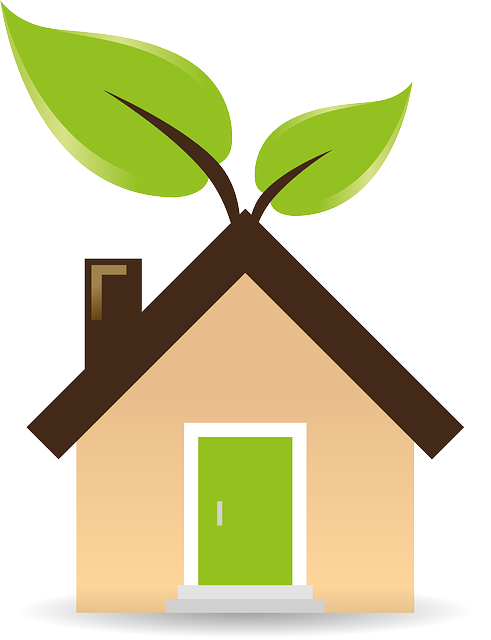 If you are planning an upcoming relocation, you may wonder how you can possibly have an eco-friendly move. Are visions of gas-guzzling trucks, excess cardboard and trash, and evil bubble wrap haunting your eco-friendly conscience? Don’t worry! There are numerous ways to complete a successful relocation—with your movers’ dirty boot marks the only footprints left behind. Use bio-degradable supplies: You can protect your belongings from damage without harming the environment! Avoid foam and plastic and opt for green alternatives such as water soluble bubble wrap and starch-based packing peanuts. Get used boxes: Instead of purchasing new moving boxes, get them used from friends, family, and local grocers or liquor stores. You can also find free box donations on classifieds such as Craigslist, Free-cycle, or the U-Haul Box Exchange. Downsize: Have a yard sale to purge your unwanted items and lighten your load—the less you’ll have to pack, the less materials you’ll need—and the less fuel you’ll waste hauling it all! Rent your materials: Many moving companies now supply reusable containers known as Ecoboxes. For a fee, they are delivered to you before your move and conveniently picked up at your new home after you unpack. You don’t have to sacrifice a moving company’s assistance to move green! There are now moving companies that advertise as eco-friendly, and employ green moving practices for environmentally-conscious customers. These movers use bio-degradable supplies, pack your belongings in reusable Ecoboxes, drive trucks that run on renewable bio-diesel fuel, keep all communication and contracts paperless—some even plant a tree for every move completed! Before hiring a green mover to assist you with your eco-friendly relocation, always read customer reviews and receive in-home estimates from several companies to ensure you get the services you require for a price you can afford. No matter what type of packing supplies you use for your move, be sure to always recycle! Plastics: Though you should always try to avoid plastic and opt for bio-degradable supplies instead, any plastic used should always be sorted and placed in the proper receptacles for recycling. Cardboard: Besides simply dropping your cardboard boxes off at the recycling plant, consider finding practical uses for them! This method is more eco-friendly than recycling, since it saves the energy expended at the plant. Cardboard boxes are versatile and can be used for storage in your home, mulch for your garden, or kindling for a fire. Make sure boxes are unbleached, unprinted and free of any adhesives before burning or using outdoors. Some appliances, such as air-conditioners or refrigerators, contain chemicals called chlorofluorocarbons that are harmful to the environment. If you will be disposing of appliances prior to moving, call your city’s pick-up service for retrieval and proper recycling. Other hazardous materials such as gasoline, motor oil, paint thinner, pool chemicals and pesticides cannot be transported on a moving truck—you must eliminate them before relocating. Call your local Environmental Protection Office to find out the safest method for disposal in your area. Whether you are driving your own moving truck to your destination or simply following along in your personal vehicle, it’s crucial to reduce carbon emissions and conserve fuel during your trip! If you are renting a truck, find an agency that supplies vehicles that use bio-diesel fuel. When driving, always practice green driving methods—minimize acceleration, maintain a steady speed, avoid idling, and limit the use of your air-conditioner! Nicole La Capria is an online content writer/blogger for Movers.com, an online relocation portal that provides free moving quotes to individuals and families planning to relocate. Besides connecting customers with reliable and professional moving companies, the site features hundreds of informative moving guides-- written by Nicole and the rest of the Movers team-- to help visitors in every step of the moving process. Sneak Peek: Join us on Monday for our next Meet & Greet link-up party. We'll be featuring one of last month's participants ... it might be you!